IRON MOUNTAIN-KINGSFORD Community Federal Credit Union employees who helped run the event included, from left, Leslie Larson, Sonya Nelson, Thea Fradette, Lori Cox, Lisa Strutz, Robin Strauss and Mitch Wiltzius. 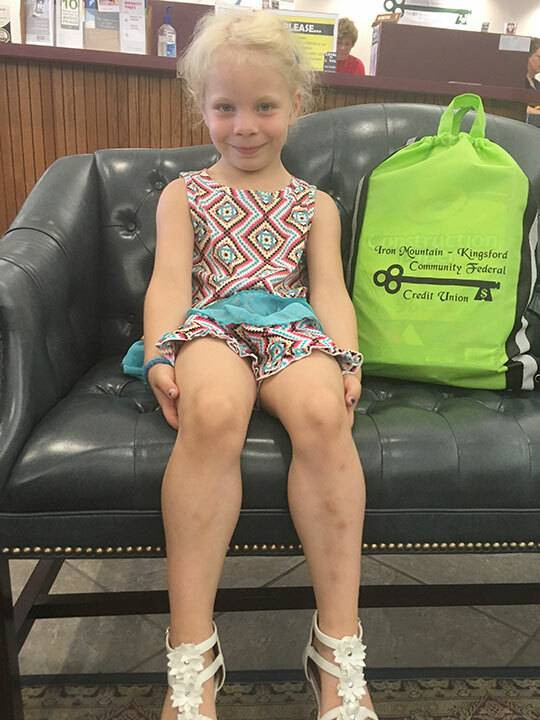 EVA MARTINSON was a IMKCFCU grand prize winner of a backpack filled with school supplies and toys at the annual Back to School Carnival. 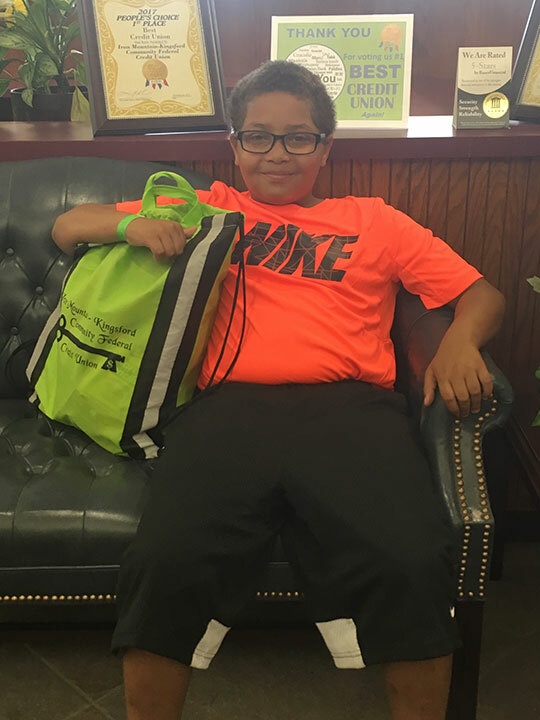 Brandon Brown was an IMKCFCU grand prize winners of a backpack filled with school supplies and toys at the annual Back to School Carnival. 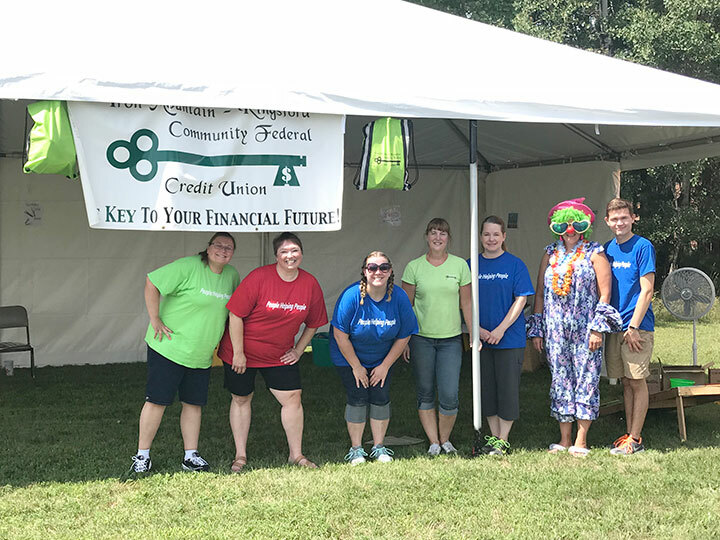 KINGSFORD — The Iron Mountain-Kingsford Community Federal Credit Union again hosted the 12th annual Back to School Kids’ Carnival on Aug. 8 at the credit union. Children ages 13 and younger were invited to play games to win school supplies. As they registered, they received a bookmark and a backpack. They also were entered in a raffle to win one of two backpacks filled with school supplies and toys. As in the past events, the Iron Mountain-Kingsford Lions Club participated by providing free eye screenings for children. 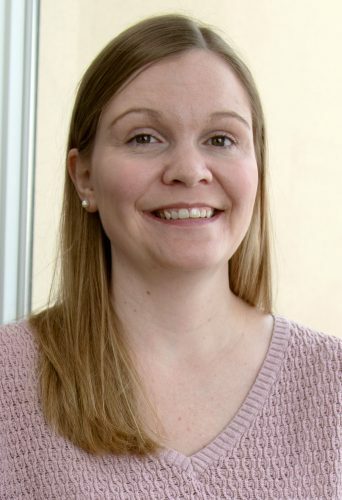 Among 237 entries, the grand prizes went to 5-year-old Eva Martinson and to Brandon Brown, 11, who won one of last year’s grand prizes as well.